To wear hijab or not? For a little time now when I`m outside and I see muslim girls and women without a hijab, I sort of think in my head that wouldn`t it be nice if she also wore hijab. There are a lot of muslim women whom don`t use hijab. I even think like that when I see members from my own family. 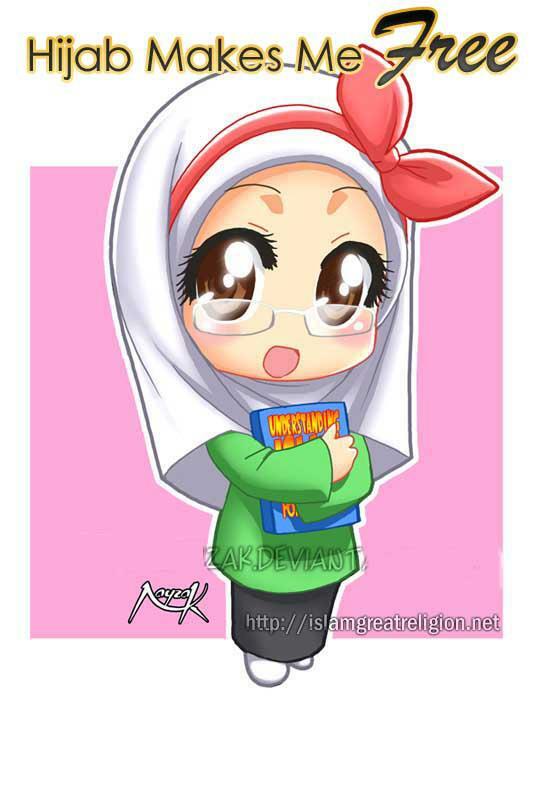 Wouldn`t it be wonderful if the girls and women out there could see the beauty in wearing hijab? To not leave the house without the headscarf or any part of the body un-covered. For a woman everything except her hands and her face is her awrah, which she needs to cover when she goes out of her home. I think most of the women wants to wear hijab but some things prevent them from starting. Like if they will get a proper rishta or if they will lose their friends or if their surroundings would think that they have become too strict in everything so they might lose their friendships. These people are just unaware of the fact that what should make a difference in their life is not what other people might say, nobody can please each and every person in this world. Some people are always going to be displeased with what you do as some others are going to be pleased with what you do, because we people have different mindsets. What should actually matter for every Muslimah is the fact that what their Lord, Allah says about the matter because ultimately it is to Him you are going back after your life here on the earth. The rules are simple, follow Allah’s laws and He will be happy, not follow and He will become angry. If we try our out most to live our life’s according to Islam we would become more satisfied about ourselves as well, as we are trying to do our best. The best friendships are those whom guide you to a better path and righteousness. If one thinks of losing ones friends think if Allah is with you, you don`t need any other on you side and if Allah Subhanwuatalah is angry with you no other person can ever help you out of your worries as Allah is the only one Who can do that. Put your trust in Allah and He will take care of the rest. If someone won`t marry just because you use hijab than that person does not have his priorities right and can most certainly not be a good muslim. A person whom helps you to do more righteous deeds so that our Allah will be pleased, that is the one to hold on to. Because in the hereafter inshaAllah people with these mindset do prosper. And so your final destination Jannah is to be achieved. I`ve always thought about this a lot. I would like my husband to be, to pray salat and be a good muslim. And have a motivation to do good in every situation in life. Just so that we also can have a chance to prosper. Someone whom follows the universal islamic guidelines and wants to strive to become a better person. One whom has the right priorities in life and wants to achieve eternal bliss. That is muslim would be a perfect husband. If you look for dunya when you live in dunya that is all you will achieve. So you will be the one whom loses in the hereafter. Though if you live in dunya but are earning good deeds for the hereafter, than that will be your eternal place, a mansion in jannah, inshaAllah. May Allah bless us all and guide us to always follow the straight path that leads to eternal bliss. Ameen summa ameen.